I'm not going to lie, this week has been a rough one in mommy land. Bianca's been more than a handful and she's really testing the strength of my sanity. 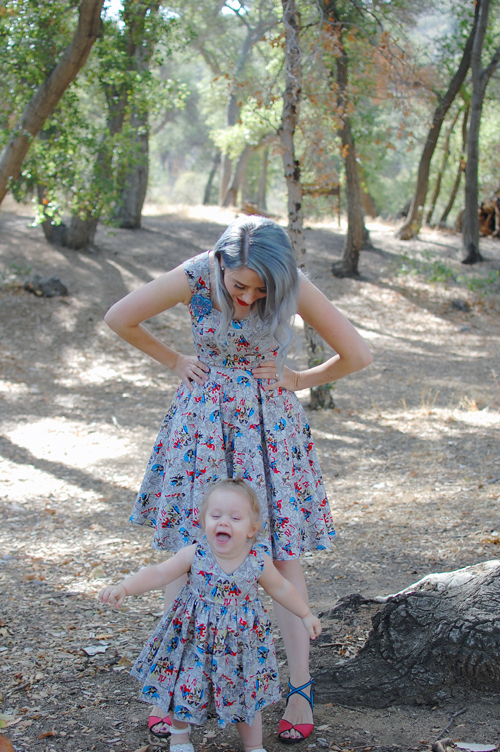 But then we make our way out and do something fun and I get to capture moments like this. I know Bianca spoils me, her terrible moods/actions are so few and far between. I guess I'm not really accustomed to a "difficult" child so I feel completely overwhelmed when she acts anything but perfect. Basically, I need to stop complaining and remind myself how thankful I am for my beautiful child. Can I start over again? 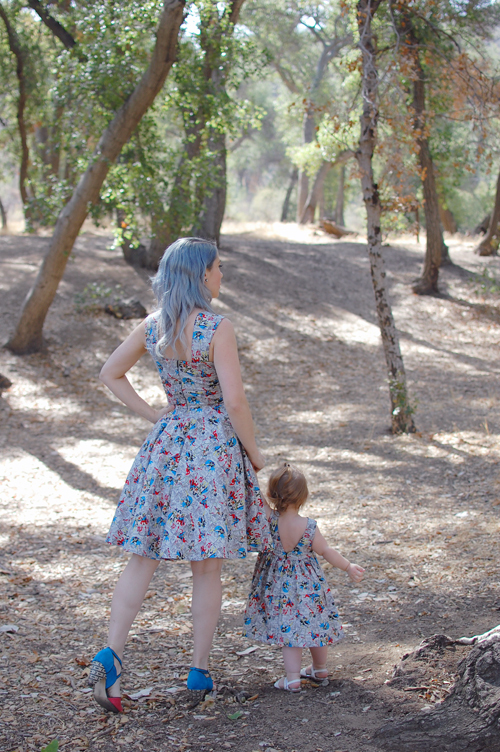 Laura, the amazing woman behind Pigtails and Pirates, was wonderful enough to send Bianca and I some dresses for review. 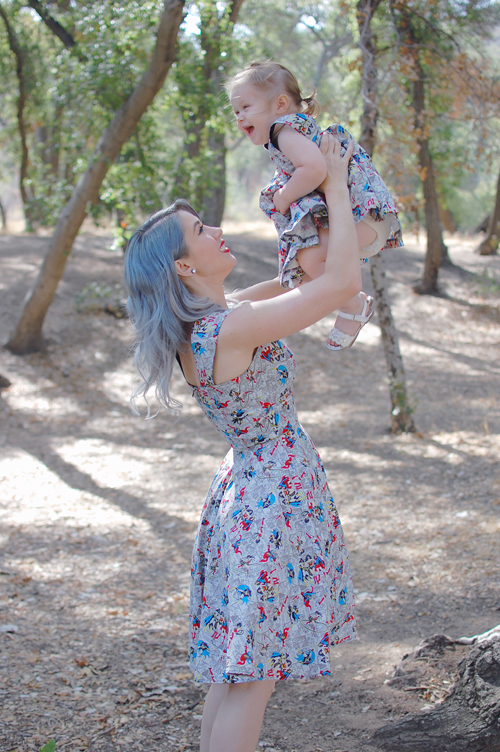 As you can see, she not only makes beautiful woman's clothing, but will make matching pieces for your little one as well. 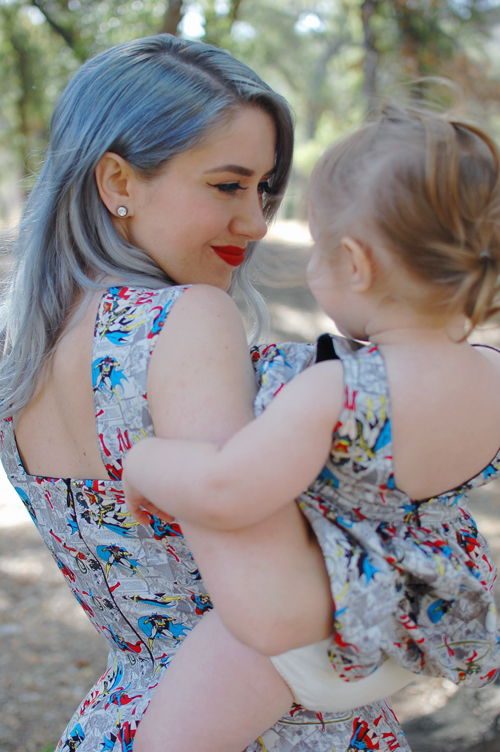 I've always loved the cut of her sweetheart dress and was overjoyed when it came in a girl power comic book print. 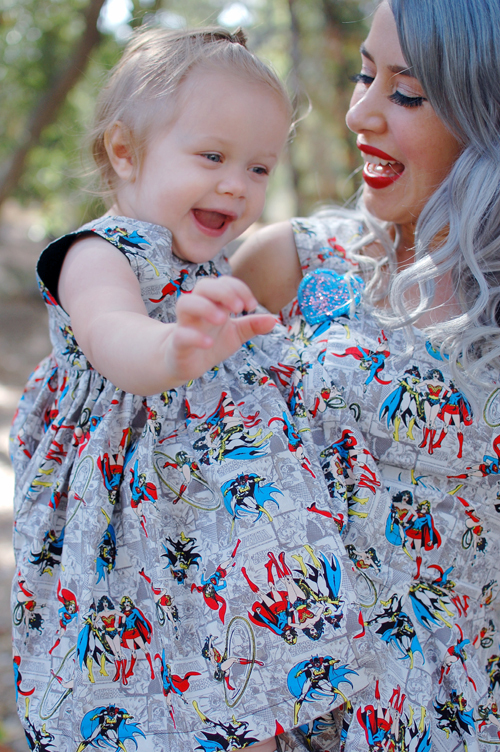 With Batgirl, Wonder Woman, and Supergirl all over the dress, it's perfectly pretty and inspiring all in one! I'm a 32 bust and 25 waist and the UK6 fits me like a dream. The bodice is lined and the straps are thick enough to comfortably wear a normal bra underneath. I requested a 3T for Bianca because she's currently a 2T and I wanted her to grow into it. While it's a bit large on her, she still looks ridiculously cute and it will fit her well into next year. You can check out all Laura's designs HERE, and if you don't see exactly what you want, you can contact her about a custom order HERE. 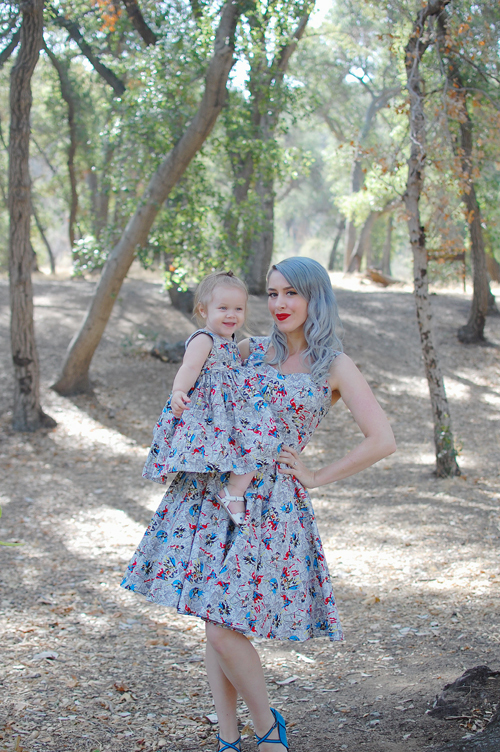 Blogs, Besties + Brooches with Erstwilder!